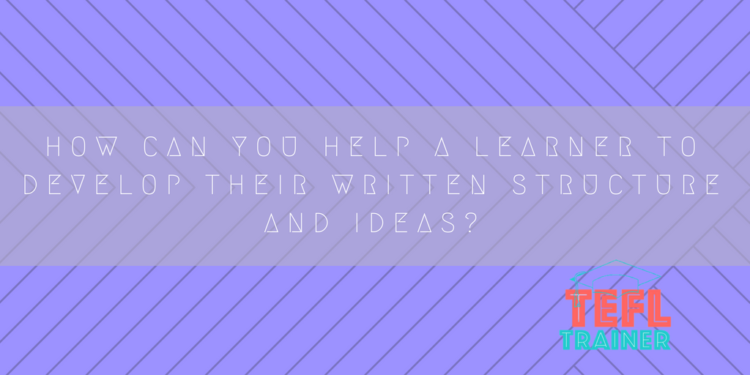 On more than one occasion, I have been approached by a student with the aim of improving their essay writing. Do they need help with vocabulary? The answer is perhaps a half-hearted shrug. Is it grammar or prepositions they struggle with? Again, their affirmation is unconvincing. More often than not, simply put, they “don’t know what to write”. For many non-native students, developing and expressing ideas in English is as challenging (if not more so) than doing so in spoken English. Rather than simply communicating an idea, they are faced with the extra challenges of developing and structuring it. A lot of research about the development of writing skills has focused on the impact of “collaborative learning”. Storch (2005) found that ESL learners who worked in pairs produced more accurate and complex written texts than those who worked individually. Given the one-on-one nature of the classes with my students, it is somewhat more difficult to utilise “collaborative learning” in the same sense that Storch did. Thus, as a teacher, it is important to use more external inspirations as a “collaborative” stimulus. One such stimulus has been the opinion sections of newspapers: frequent recommendations are The New York Times and The Guardian’s ‘Comment Is Free’ section due to their online accessibility (by which I mean they’re free to subscribe to) and a structure weaving both opinion and examples. Of course, such a structure is often too complex especially for those sitting an exam. Although further reading – particularly of journalistic essays – is indispensable for generating ideas and offering new perspectives, the famous ‘hamburger style’ is often the most recommendable format for learners. One student preparing for an exam found that although she could develop an opinion about the essay question (in that case, about whether celebrities had the right to privacy), she struggled to develop it to attain the minimum number of words. By using the ‘hamburger’ structure, this offered a more tangible example of how to expand her answer from her original draft of a three-sentence opinion. Encouraging her to use an introduction, a body paragraph justifying her argument, a second summarising and discounting the counter argument, and a conclusion has offered a process in which to guide her thought process and thus extend her ideas. Point – Stating the argument of the paragraph at the start. Evaluation – Explaining in further depth why such examples strengthen her argument, thus weaving opinion and facts more intricately. By using these systems, it not only helped her – and by extension other students – create a more coherent structure, but also offered a method in which to guide her thought process.